The old guard of Russian improvisers from St. Petersburg recorded this album in 2000. Distantly resembling the ECM aesthetic, it has a definite Russian twist - the sound is rougher, the swing is more pronounced, the tunes are more memorable. Since then Arkady Shilkloper (French horn) has become an ECM artist indeed. 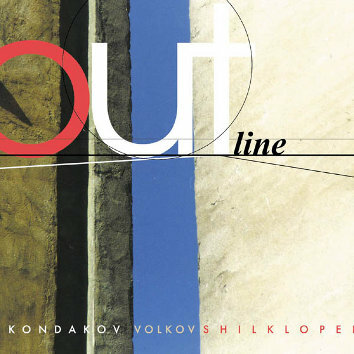 Out of 9 pieces on this CD, three belong to the pen of Andrei Kondakov (piano) and two to Konakov and Vladimir Volkov (bass). The remaining four pieces are a collective effort of all three musicians.